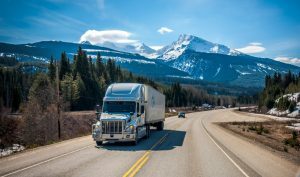 Partial truckload, co-loading, less-than-truckload (LTL), and load-to-ride all refer to shipping methods that put orders from multiple companies on one truck. Yet, each mode operates a bit differently and provides its own set of benefits. Deciding on the most optimal mode for your transportation needs can be daunting. (That’s why we’re here!) Decisions are based on a myriad of factors – order size and weight, order type, destination, origin, handling, timeline, etc. If you are shipping orders that don’t fill a full truckload, here is a breakdown of options available. 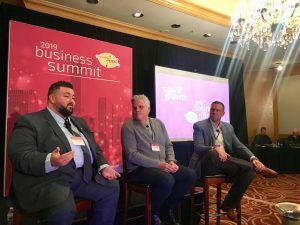 LTL shipping aims to make transportation more economical for orders that are too large to be sent by small package (USPS), but not big enough to fill a full truck. LTL carriers generally utilize van trailers to combine multiple shipments from different companies into one vehicle. They pick up multiple orders from a set geographical area, sharing truck space, then go to a central terminal. There they unload at an inbound dock, then move to an outbound dock where they are reloaded with consolidated shipments which they take out for delivery. This happens regardless of whether an order is being delivered locally or nationally. As a result, LTL orders are traditionally handled often. This is one of the main downfalls of the mode. Each time a product is moved it runs the risk of breaking or being damaged. For snack and ingredient producers, over handling is a big concern. Any puncture to packaging could mean contaminated, ruined, and unsellable goods. Additionally, shipping LTL can make meeting retailer compliance standards very difficult. LTL deliveries are typically only made at the delivery terminal when the product arrives on site – no prescheduled appointments. All too often, by the time the terminal sets an appointment, the receiver is booked beyond the compliance date and the shipper gets a negative mark on their scorecard. Load-to-ride transportation refers to orders that are loaded on to a truck and then taken directly to the destination. This often includes orders from multiple companies, but doesn’t have to. When a driver executes a “load to ride” they handle freight far less often than traditional LTL. They execute on scheduled pickups and move directly to deliveries, removing the middle step of unloading, consolidating, and reloading at a terminal. Picking up directly at your location and delivering to your customer right away, shippers can reduce loss and damage, expedite shipments, and improve efficiencies. This is particularly beneficial for companies that do on-site consolidation or for those that are held accountable to strict Must Arrive by Dates (MABDs). 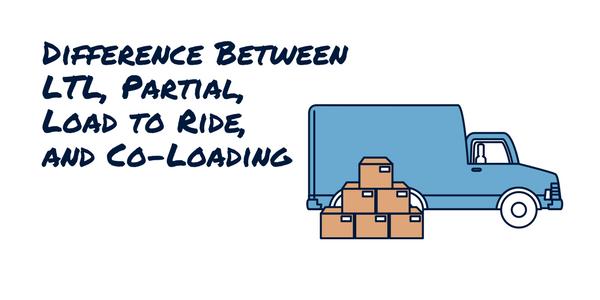 Co-loading is just like it sounds – multiple companies collaborating to load and ship their orders on a shared vehicle. Sharing space on a singular truck also means fares can be split, based on their respective use of space. But, unlike load-to-ride transportation, there is no guideline with co-loading on whether an order goes to a central terminal or not. Instead, co-loading refers more to the concept of sharing a truck between multiple companies to cut costs. Partial truckload shipping is used for orders that fall in between full-truckload and less-than-truckload parameters. They aim to fill an entire truck, leaving no unused space. Partial is most often associated with volume pricing and shipments over 5,000 pounds or 6 pallets, but doesn’t have to be. Shippers can also leverage this mode for small 1-3 pallet orders, to avoid the issues to LTL hub and spoke. Partial truckload shipment rates are determined based on the size of the order (linear feet and weight), time sensitivity, and type of freight. However, they do not require freight classification like LTL. This is where per pallet pricing comes into play. Additionally, since partial shipments use trucks and not van trailers, there is more space available to fill. Companies often leverage this mode when their freight is too large or too heavy for LTL, but they still need a cheaper alternative to full truckload. Unsure if you could benefit from trying a different mode of shipping? Reach out to Zipline Logistics today. A solutions consultant is available to help you evaluate your options and determine the most efficient form of transportation.